On Friday, I’ll be the featured guest-blogger at Romance University. We’re talking about conducting research. I offer some recommendations on how you get’r done when it comes to cause-and-effect. I love research. I’m a bit obsessed with finding answers. Every time I have one of those moments, you know, the kind where I think “hmm, I wonder what happens when…” The next thing you know, I’m up a ladder or under the house trying to figure out the logistics. Occasionally this has gotten me in a bit of trouble. Yes, “a bit” is nicely ambiguous and we’ll be leaving things unexplained for good reason. So, you don’t want to miss out on this discussion. Clickity HERE with your finger on the button. Do it now. Now. Please? This is peer pressure. 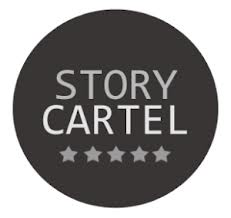 In other news, my collection of crime stories is being featured over at Story Cartel this month. 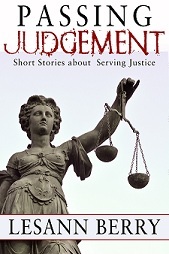 This is a pretty nifty deal – you sign up with your swift e-mail and they express you a digital copy of Passing Judgement across the interwebs. For FREE. Yes! You download and read on the device of your choice. If you like, then you’re encouraged to leave a review at the site of your choice. Doesn’t have to be lengthy but it needs to be honest. No hard feelings if you didn’t like something – I love to hear anything of value people feel like sharing. Writers appreciate the time and effort of every reviewer. The link should be live for another two weeks. At the end of the promotion, they’ll hold a drawing to give away some print editions. You could win one. I already know you’re a winner – but Story Cartel will know it too and they’ll shower you with pages of words. So, zip on over to Romance University and then drop by Story Cartel for a FREE book. Writerly chat and a FREE read – what’s better than that on a Friday morning? I’ll be there. Waiting. Just for you. No pressure. If you enjoyed this post – please share. Subscribe using the link to the right. This entry was posted on May 2, 2013, 3:33 am and is filed under Research. You can follow any responses to this entry through RSS 2.0. You can leave a response, or trackback from your own site. Alright, already! I’m on my way over!